There are dozens of programs on your computer and chances are a handful of them at least access the internet without you even knowing it. While this is fine and dandy for most users, it can limit your bandwidth without you even realizing it. This is why it’s essential to know how to monitor all internet traffic on your PC. While this may seem relatively simple, a third party program is actually needed to monitor all of your traffic, and there are two solid options we will be covering below. 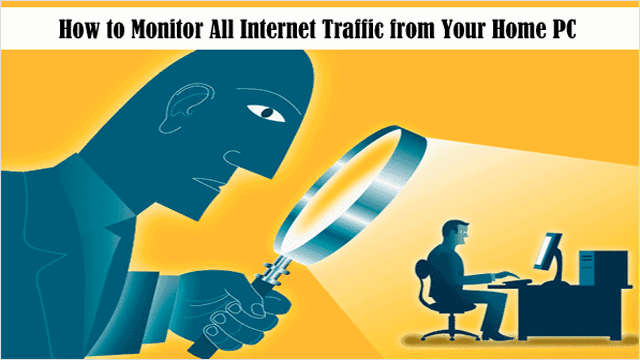 Our guide will outline how to monitor all internet traffic from your home PC. For a cross-platform solution that’s considered one of the best in the world for both bandwidth and traffic monitoring, Wireshark is where it’s at. This thorough program does everything you need and then some, and it excels at letting you look at your traffic. After installing Wireshark from its download page, “open the program to view its user interface.” And after starting the program with Windows Manager, Wireshark will display your internet traffic right away. 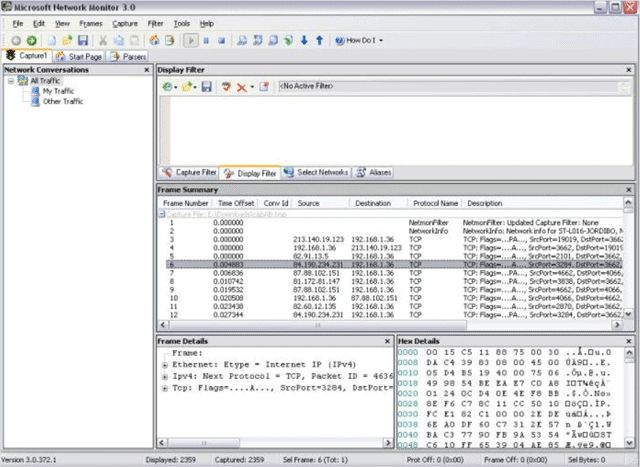 While Wireshark is a network protocol analyzer, it also lets you see what’s happening on your network on a microscopic level. In addition, it offers some of the most powerful display filters in the industry and a browser that comes with a standard three-pane packet browser. For those who want to share their traffic information, all captured network data can be browsed via a GUI. This program has a lot of options; maybe more than the average user needs, but they’re all quite interesting, revealing many things about your PC’s bandwidth usage. 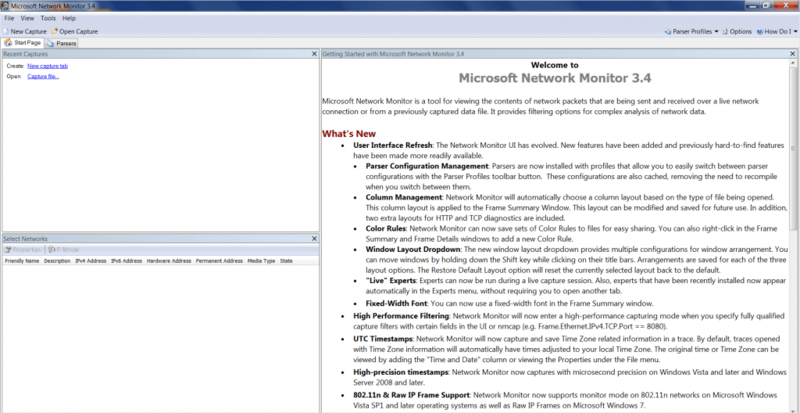 Another program that lets you monitor all of your internet traffic from your PC is Microsoft’s freeware – Network Monitor. You can download this program from Microsoft’s site here. Once you install it, this is what the main user interface will look like. This basic bandwidth monitoring software aka protocol analyzer is all the basic Windows user needs. It offers some of the best-organized results and it also associates traffic which specific applications and services, which is very helpful when trying to determine your specific bandwidth usage. With using this software, you can specifically capture network traffic and view and analyze it. And when Microsoft’s Network monitor loads for the first time, you will need to start a “New capture,” which you can do by clicking the “New Capture” button at the top of the screen. And on the next page that loads, click “Start” to begin the capture, so you can see your PC’s Internet usage. When you do, this is what it will look like. It’s always good to know exactly what your bandwidth usage is on a daily basis, and these programs do that. Please note, when installing both of these programs, a reboot is necessary in order to get them to start monitoring your internet traffic.